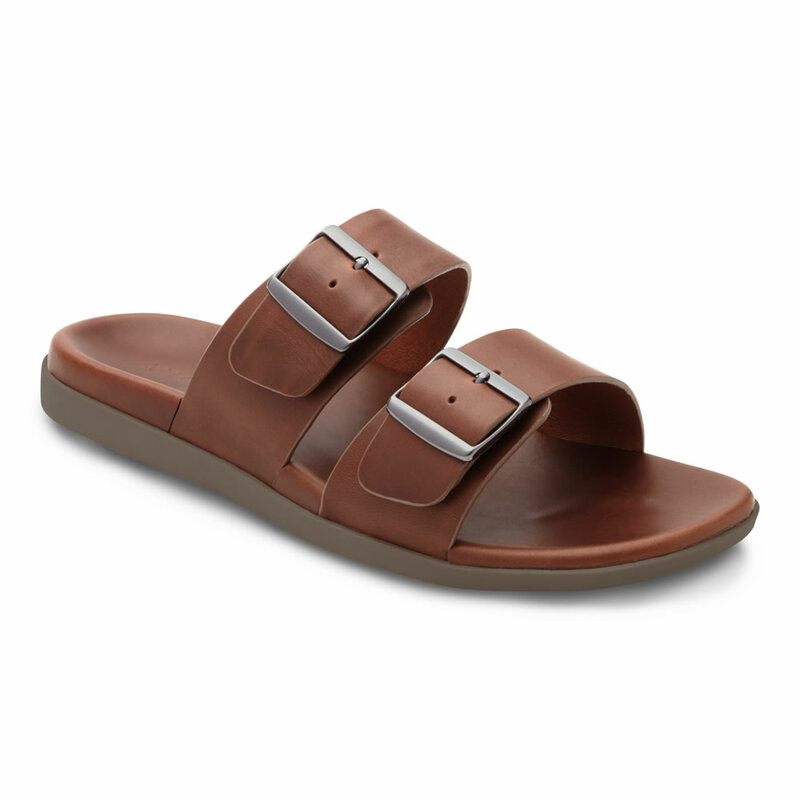 This is the gentlemen’s leather sandal that helps alleviate and prevent the pain associated with plantar fasciitis. The deep heel cups align the feet into a natural position for those who over-pronate—when the heel bone angles inward—a determining factor in the development of plantar fasciitis. The biomechanical footbeds provide optimal comfort and support when the shoes are worn for at least a few hours per day over the course of two weeks. 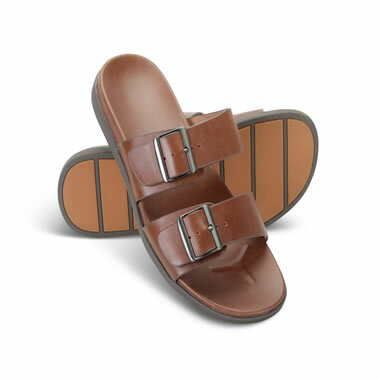 The two adjustable double-buckles assure a custom fit, with a fully cushioned, leather-lined footbed for increased comfort and a rubber outsole for stable footing at the mall or on the trail. Brown. Medium width. 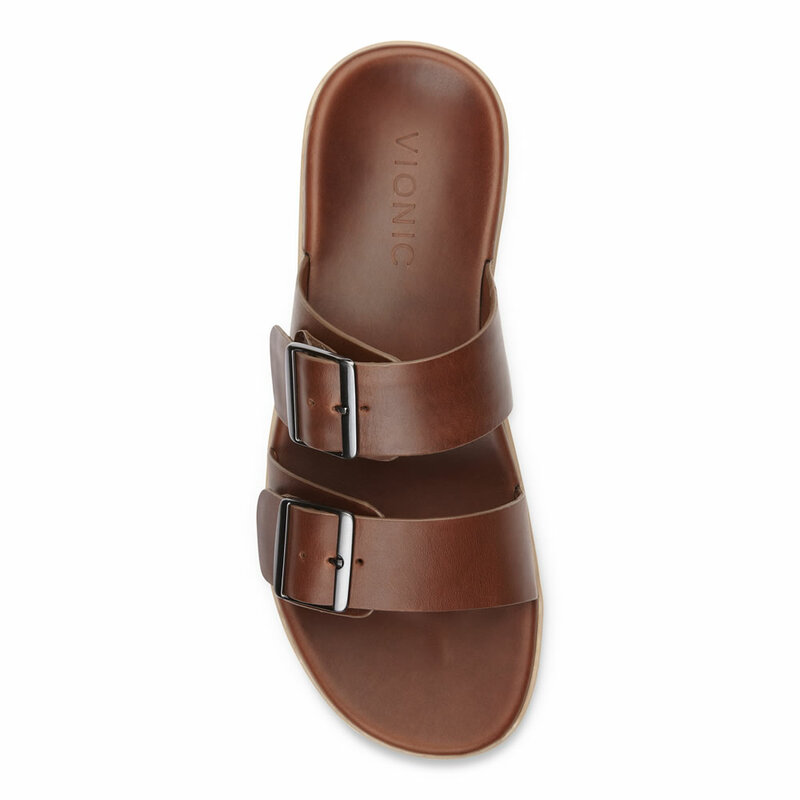 Whole sizes 8-12. The Men's Leather Plantar Fasciitis Slide Sandal comes with The Hammacher Schlemmer Lifetime Guarantee. Items that we sell are guaranteed for their normal life under standard non-commercial use.